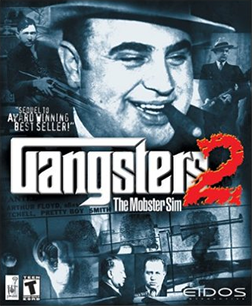 Gangsters 2 takes you to a fantasy Prohibition-era America. To rise from the ranks of fledgling hoodlum to feared and respected made man, you must effectively run legitimate businesses during the day as a front for more creative enterprises at night. The gameplay is narrative driven, and features real-time action and strategy. You will have to use skills and cunning to build a team of mobsters, including specialists such as card sharks, hit men, arsonists, and safecrackers. You will receive in-game advice to assist in your advancement, plus a daily newspaper will keep you updated on the status of your empire, as well as those of your rivals. The campaign mode contains 20 episodes spanning 15 counties; alternately you can battle friends in the multiplayer mode.